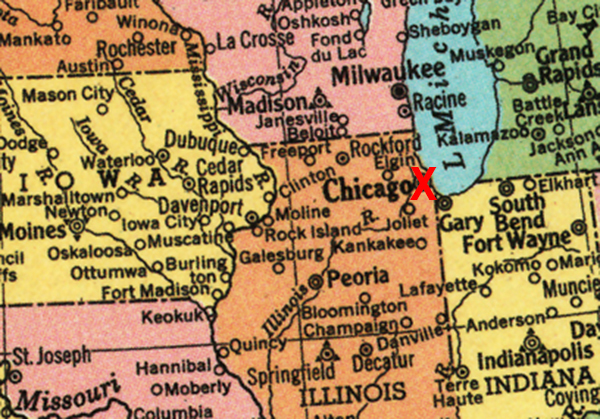 In 2001, Chicago was riding high on a public art project where they had placed cows all over the city. When that project was finished, the new art installation involved chairs. I thought they were more clever and interesting than the cows. They were certainly more useful—people were sitting in them all over the city, and thematically they all said something poignant about American culture. 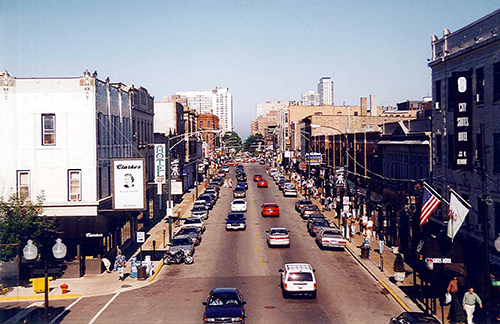 It made me aware, at the time, of how cities can connect to its citizens by beautifying common spaces, and that Chicago actually invested in making the city interesting and livable. My own home-city, Philadelphia, can’t even afford to run it’s schools, so public art isn’t even a consideration. I ate at Ed Debevic’s and then spent the entire day, all the way until after the sun set, photographing landmarks and the architecture of Chicago, which to this day is still my favorite city in the entire country. A shot from the Chicago El. Can’t remember where I took this, but I know there were tons of diners in this area. July 9, 2001. 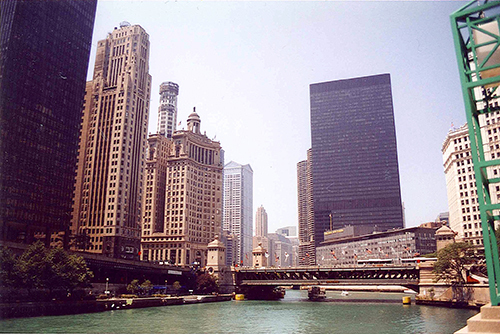 The Chicago River with the old Chicago Sun Times building to the right. It is now the site of the Donald I’m A Douchebag Trump tower. July 9, 2001. 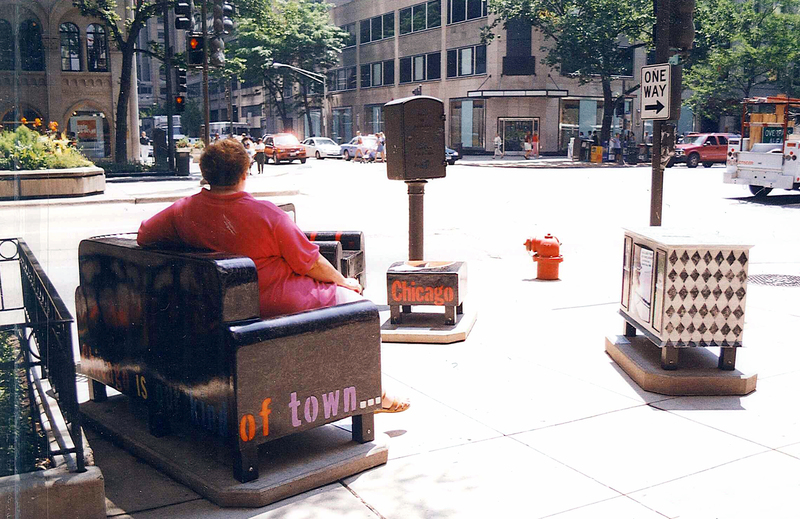 Chicago’s Public Art Project, Chairs. I wish this was a project that caught on in all cities—we’d never have to worry about sore feet. July 9, 2001.